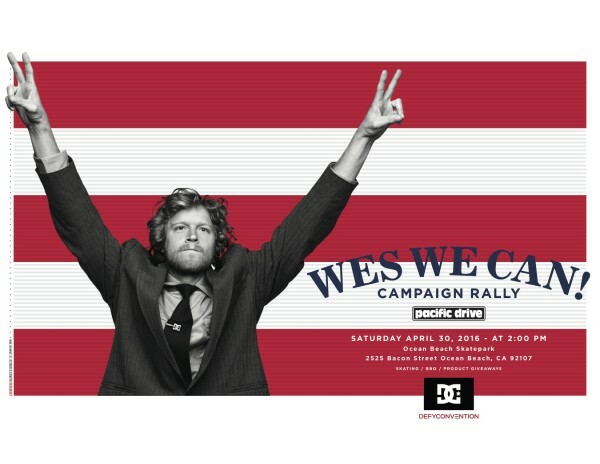 DC is throwing a "Wes We Can" campaign rally with Wes Kremer and the crew, next Saturday April 30th at the OB skatepark with Pacific Drive. There'll be food, skating, giveaways, and scooter protest groups so it should be a great time! Everybody is welcome to join and help end this scooter epidemic once and for all! Details on flyer. We’ll see you out there!